Quick summary: In this interactive whiteboard lesson students explore green waste recycling in their own homes, investigating what green waste is, where it goes after it has been put in the bin and why green waste recycling is important environmentally, socially and economically. Following these lessons plans is an ideal way for your students and the community to tune in to what happens to green waste once it is collected in a kerbside bin. The Back to Earth initiative is about connecting people with what happens to green waste once it leaves the garden, how it is processed, what it is used for at the end of this cycle and why its important to put the right things into the bin! Join thousands of others who have learnt about the benefits of using their green waste service correctly, for their communities and for the planet. 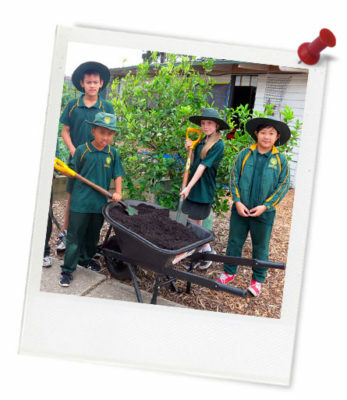 Don’t forget to check out the Back to Earth initiative website: www.backtoearth.vic.gov.au – to learn more. Requirements for this lesson: Interactive whiteboard, Smart Notebook software. 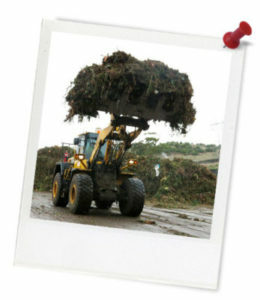 Understand the environmental problems associated with sending green waste to landfill. Recognise the benefits of recycling green waste and composting. OI.3 – Sustainable patterns of living rely on the interdependence of healthy social, economic and ecological systems. OI.6 – The sustainability of ecological, social and economic systems is achieved through informed individual and community action that values local and global equity and fairness across generations into the future. OI.8 – Designing action for sustainability requires an evaluation of past practices, the assessment of scientific and technological developments, and balanced judgments based on projected future economic, social and environmental impacts. The Back to Earth Initiative would like to acknowledge Veolia and these participating councils. Tip and tricks for this lesson! Each page has a teacher tip or detailed instruction in the orange teacher tab. Pull to the side and read before starting each activity. All of Cool Australia IWB lessons use Smart Notebook software. This software is included with the Smart Board but is compatible with many other interactive whiteboards. It allows users to compile notes, images, and other media into virtual notebooks which can be projected and edited using the Smart Board itself. 1. When downloading the file from Cool Australia's website some browsers will need the .notebook extension. To add this extension to the file name select the “Save As” option when downloading the file, then select the dropdown box on the bottom and select “All Files” and add .notebook to the end of it.